Legendary director and producer Hironobu Sakaguchi has shared his belief that a growing trend in placing importance on high-definition graphics rather than focusing on gameplay is becoming detrimental. This isn’t the first time that Sakaguchi-san has aired such views, having previously stated that high-definition visuals can prove “too much for a game world”. Sakaguchi continued, “You end up communicating too much to the player. This is why I now feel that we’re at a turning point. With this title, I pressed reset and returned to the basics of what a game is. I started by spending a lot of time considering just what it means to tell a story in a game. But it went beyond simply considering the story side of things – I looked again at the fundamentals on the system side too”. “That’s why we repeatedly experimented with the system side at the prototype stages of the game’s development. We knew that we wanted something that differed from the way things had been done before. We wanted to express the gameworld and story in a whole new style, and I feel that we gave it absolutely everything we had”. 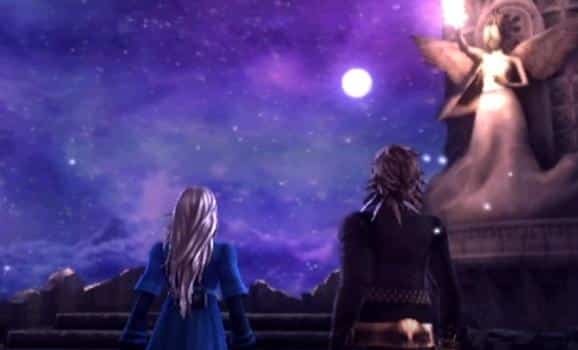 Whilst sharing such criticism, Sakaguchi has worked with his Mistwalker Studio on both Blue Dragon and Lost Odyssey for Xbox 360 since leaving Square. Such development experience, however, has led him to the belief that too much attention is wasted upon visuals rather than gameplay. “To be honest, I think that the HD images which have become mainstream in the TV industry are, for me personally, still rather over the top for the world of video games”, Sakaguchi-san comments. “There’s a tendency for developers to allow all their energy to be diverted into maintaining the high quality of the graphics”. He was keen to ensure that whilst the Wii hardware has now become dated, its visuals wouldn’t suffer as a result – something that he feels his team was able to achieve. “I was really averse to allowing the quality of the graphics to drop just because we were working on Wii, which doesn’t have HD graphics”, he commented. “I do really think that, in the end, what we’ve created can hold its own against other hardware”.